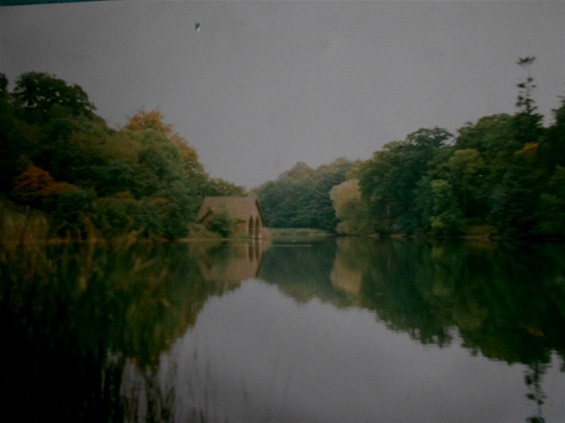 IT WAS the first estate lake I'd ever fished; and perhaps it is the finest estate lake in the land, in terms of arcadian beauty. Its nineteen acres seemed to possess everything: from an atmospheric boat house in the reed beds to extensive, whispering shallows, where numinous tench would gather to spawn. We fished the Big Pool for pike, my friends and I, and for the tench in the warmer months; and I think we were not unsuccessful. I landed tench to over 6lbs – gorgeous creatures too, they were, and pike to 19lbs; and once we saw a massive pike in the margins by the lily beds, a fish far larger than any we had suspected beforehand. 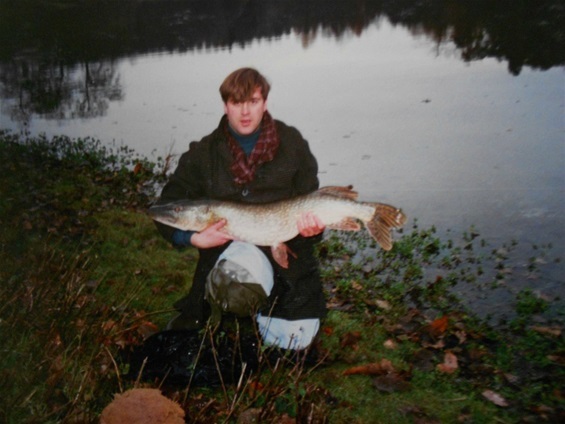 That was in the Nineties, before the pike fishing there went into a sharp decline, with jacks becoming more numerous and large fish becoming a rarity. The tench are still there, however, and still magnificent, and with them swim the ghosts of uncaught carp; - uncaught monster carp. While it is known that other pools on the estate hold carp, it is accepted wisdom that the Big Pool holds no carp at all. But this is not strictly the case. Once I saw a common in the Big Pool. It was not a large fish, but it was a carp all the same. It was cruising the edges of the deep, heading from the boat house towards the brooding dam. The same year, my brother David saw a much larger fish. It rolled under willow fronds, in a corner by the dam, and the experience left him shaking. Once again, it was a common carp, but one over 30lbs in weight, perhaps. Another friend saw several large carp feeding before the boat house, where the silts of the original pool meet the deeps, at a submerged dam wall, -the lake’s original extent in the eighteenth century. These sightings could not be denied: but mysteries and doubts still remained. Aren’t carp supposed to destroy good tench waters? But Dudmaston Hall remains a remarkable venue for estate lake tench. Could it be that the carp we saw only kept to the deeper end, leaving the shallows for the tench? However, there were occasional reports of large fish being hooked and lost in the shallows. Usually the finger of blame was pointed at monster tincas; but now I really wonder. 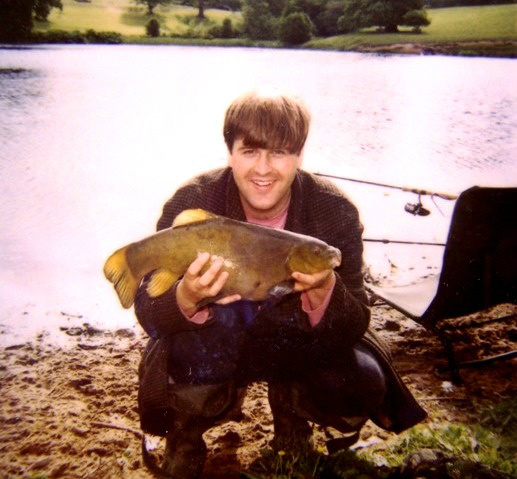 There were always rumours, of course, - rumours that the pool had actually yielded a 40lb carp to some lucky angler in the Eighties. Yes, there were rumours, but no hard evidence – apart from the few rare sightings I have already logged. So there the mystery remains. I am no longer a member of the club that controls the fishing, and there is a rather long waiting list, should I wish to return. But I should like to return, one day, because I love unsolved mysteries and there is surely unfinished business on the banks of Dudmaston Hall. It is odd to relate that none of us actually decided to fish for the carp, - to attempt to answer all our many questions. Now, I think, to set up stall there would be to step back in time to the very earliest days of carp fishing, - when monsters were hoped for, suspected, but were never an absolute certainty. The anticipation was all that mattered. I'd be walking in the footsteps of BB himself, I believe, and that would be no bad thing! Gary, comments post is limited. Woud love to chat to you in more detail on the phone or via email. If you send me your email or phone and have an hour free!! Info most interesting..let's get chatting, Richie..
Bri told us it has 30's in!!. Caught a long scraper20 common most 8to 15lb tho.Lost a Brindle mirror at net that looked a big 20 and saw a massive long common. 32 common was the colour of a shiny conker it was mint still got curtain inmouth From the great pool not silted up pools other side of road.fight like a Barbel. Glorious, Ritchie - simply glorious! Fished Duddy for carp Caught a mint chestnut common 32lb 15 yrs ago took me 14 trips. Better than a fat45lb Simo any day. And a lovely place. Ritchie.